At Abbotswood at Irving Park, health and wellness are not only our philosophy, they represent a way of life. This wellness culture is what makes our community exceptional and contributes to the happiness of residents. Want to see what a typical day at Abbotswood looks like? It can include everything from Tai Chi to piano — from art classes to BINGO — from Wii bowling to a book club. 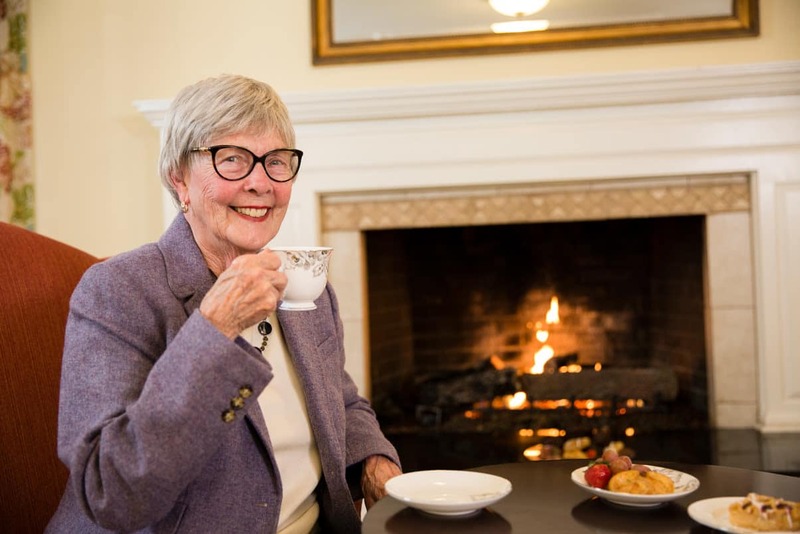 At our senior living community, we strive to offer our residents programs that meet every individual's interests — and even pique new interests. Residents also find that they have a renewed sense of strength and energy after participating in our award-winning wellness program, which accommodates all fitness levels. Although we offer limitless programs to do on campus, we also like to give residents ways to get to know Greensboro better, so we routinely hold shopping trips and other outings in the community. Your opportunities are only limited by how you choose to spend your time. As you participate in our award-winning programs, you know your choices are designed to help you maintain an active lifestyle doing things you love, doing activities that challenge you, learning new things, staying physically active, enjoying the company of friends and family, pushing beyond your boundaries, going out on the town, discovering new passions, and more.